DAILY POST gathered that a combined force of Police, Army and Civil Defense has taken over the entire Assembly complex barring even the House of Assembly staff from gaining entrance. 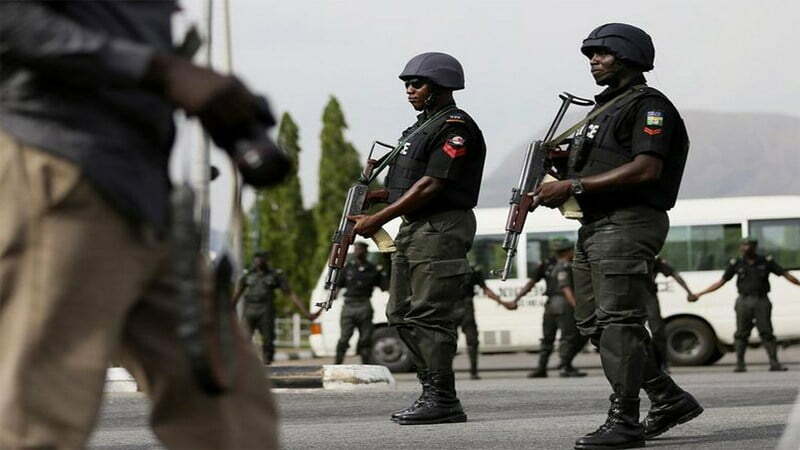 Charles Udoh, the stateâ€™s Commissioner for Information & Strategy in a statement lamented that the Commissioner of Police was hurriedly withdrawn from Akwa Ibom for doing his professional duty responsibly. According to him, â€œApart from the fact that the outgoing CP barely spent a month in the State, the circumstances surrounding his removal is a mockery to the nation and a contrast to the insecurity battle of the federal government. â€œWhy should an officer who successfully resisted the invasion of hoodlums and professionally protected an institution of government be rewarded with unceremonial removal from office? Ordinarily, such feat in other climes would have attracted promotion and commendation. â€œThis is a sharp pointer today the sad narrative that the force is tilting its political pendulum to favour a particular political divide. â€œThe danger this portends to our democracy is better imagined than seen. We are shocked to see this action from the Police that should unbiasedly serve the interest of all.